Birthdays looks illustrious with the arrangement of Happy Birthday Decoration Number Balloon. Your prince feels so surprised with this arrangement. This Balloon set consists of 5 balloons (1 Number balloon, 2 Little Prince Balloons and 2 Star Balloons ) .Baby pink is most liked by everyone. Size of Star Balloon and little prince Balloon is 18 inches and number one balloon is 20 inches. Kids enjoy with this decoration on their first birthday. 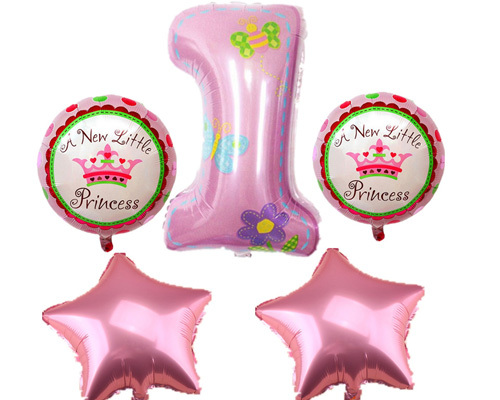 This Little Prince Balloon Combo - Pink Available Only in Vijayawada. Sameday delivery is possible.